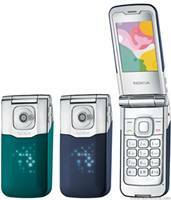 Nokia and Rogers Wireless recently have unveiled the Nokia 7510 at Rogers TalkSpot. The Nokia 7510 is an Unlicensed Mobile Access (UMA) enabled phone which offers convenient accessibility between cellular and wireless home internet connection to the Canadians. The mobile phone has been enhanced for supports on Wireless GSM and Wi-Fi which enable customers to experience greater mobility and enhanced connectivity. Featured with a 2-megapixel camera with flash function, Nokia 7510 is also integrated with OSS browser that offers users a graphic rich PC-like browsing and comes with 512MB external memory. Additionally, it supports up to 8GB of microSD card, comes with a battery that provides up to 6 hours of talk time and 12 days of standby time. “The Nokia 7510 together with Rogers TalkSpot provides consumers the flexibility of using their cellular and wireless home internet connections, without the inconvenience of switching phones. The Canadian availability of this handset is another example of the wide range of fashionable and functional devices available in Nokia’s product lineup that offer the best technology to consumers,” mentioned Richard White, GeneralManager of Nokia Canada. The handset is available in two trendy Xpress-on changeable covers, fatal red and storm blue enabling users to customize their gadget. Nokia 7510 is priced at $49.99 with a three-year contract at Rogers Wireless.